After almost two weeks of testimony, a Texas jury has awarded $1.2 million in damages to a woman who suffered severe and debilitating injuries after receiving Ethicon TVT-O transvaginal mesh to treat stress urinary incontinence. 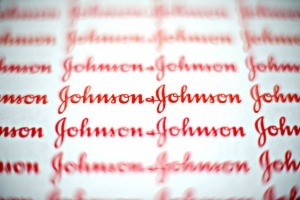 Ethicon, a subsidiary of Johnson & Johnson, has indicated that they plan to appeal. They always do. But one thing is clear: juries looking at these cases are not happy with Ethicon or the other vaginal mesh manufacturers. While finding the Ethicon TVT-O sling to be defective, the jury did not find that the manufacturer’s actions rose to the level of gross negligence. As such, the jury declined to levy additional punitive damages designed to punish the manufacturer for their failure to warn consumers and the medical community. So, in some ways, you can say that getting hit with a $1.2 million verdict was dodging a bullet for Ethicon. As I’ve continued to say, these bellwether trials tells us about the value of these claims for the rest of the class. So what are juries telling us? They are telling us these cases are worth a lot of money. The big risk for Ethicon at this point is that the class of victims- and their lawyers – are seeing these verdicts it is driving up the price of tea in China. Multiple failing meshes require multiple surgeries to replace them, requiring the patient to experience greater mental and physical stresses on their body. All of the lawsuits involve similar claims – claims that the transvaginal mesh and bladder sling products were defective and unreasonably dangerous. Johnson & Johnson is among the other manufactures that face similar allegations to those raised in this trial, more than 50,000 claims strong. American Medical Systems (AMS) currently faces more than 14,250 claims, while Johnson & Johnson is a close second with more than 13,000 claims. Boston Scientific has approximately 8,300 claims, while C.R. Bard faces 6,100, Coloplast Corp approximately 1,250, Cook Medical 150, and Neomedic faces approximately 25. In July 2013, a federal jury awarded $2 million damages against Bard, a verdict that included punitive damages. Another bellwether trial against Bard is scheduled to begin on May 19th. At least two other Ethicon federal trials are expected to begin later this year. State trials have moved forward against these manufacturers as well. In the summer of 2012, a California jury awarded $5.5 million against C.R. Bard, to a victim that underwent nine revision surgeries. In March of last year, a New Jersey jury awarded $11.1 million against Ethicon to victim that was required to undergo eighteen revision surgeries. If you or a loved one has suffered negative side effects as a result of any transvaginal mesh product, contact one of our attorneys. Call us at 800-553-8082 or talk to us online. There is no fee or cost for you in pursuing your claim unless you win a recovery. Could You Have a Viable Lawsuit?